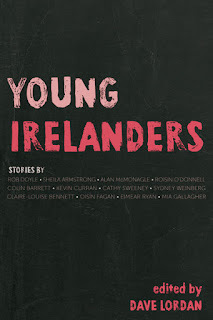 BleachHouseLibrary.ie: #IrishFictionFortnight - Day 14 - "Young Irelanders" edited by Dave Lordan. Q&A from author, Alan McMonagle and Giveaway. 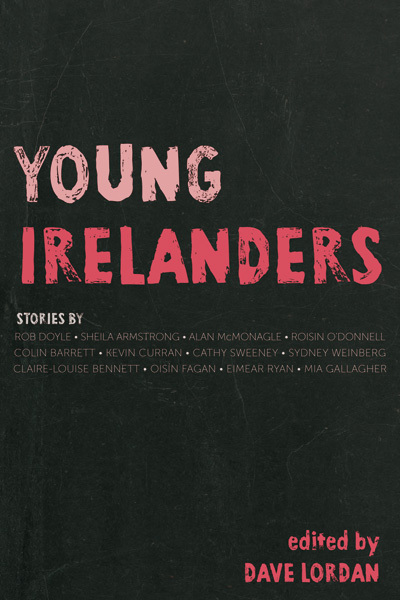 #IrishFictionFortnight - Day 14 - "Young Irelanders" edited by Dave Lordan. Q&A from author, Alan McMonagle and Giveaway. Thanks to New Island Books, there is a PB edition of this wonderful anthology, featuring some of Ireland's finest new talent. Also, as I was spellbound by the short story from Alan McMonagle, I arranged a Q&A with him. To be in with a chance of wining this book, just enter via rafflecopter link below. Good Luck! Your earliest childhood reading memory? I had a Greeks Myths and Legends I devoured I don't know how many times. Achilles and Hector and the Trojan War. The Adventures of Odysseus. Jason and the Argonauts. Leonidas , the Spartan Army and the Pass of Thermopylae. Pegasus the Flying Horse. Perseus the slayer of Medusa. Hercules. Atalanta. Aphrodite. Zeus and Athena. Orpheus and Eurydice. Sounding aloud these names was enough to break open a world of adventure inside me. I couldn't get enough of the stuff. Also at bedtime, I remember listening to the poem The Owl and The Pussycat by Edward Lear. Have you ever submitted a piece of work that you regretted afterwards? When I was fourteen I read a short story I thought was so brilliant I plagiarised an abbreviated version of it, signed my name to it, and gave the three foolscap pages to a girl in my neighbourhood I had an irreversible crush on. She actually read it and thought it was good and then she passed it on to her slightly younger sister who in turn plagiarised her own version, signed her name to it and brought it into school and read it out. Her teacher thought it was so good and, not recognising it for the knock-off it was, insisted on entering it into a national short story contest being run at the time. At this point I woke up to the fact that the younger sister was every bit as beautiful and also closer to my age (and a writer to boot - how romantic!) and so I decided to transfer my crush away from the older sister. This turned out to be a bad decision because it just so happened that the older sister had decided she actually liked me back. Alas, I was now blind to her and had to have someone point it out to me at which point I became very confused. Then the younger sister got it into her head that she wasn't my number one choice. The upshot of it all was that I didn't get the girl of my dreams and my early manuscript was forever lost to me. What a disaster. Your favourite piece of your own work? My favourite piece is usually the current piece when it is still early stage and has yet to announce what it is actually about and so for the time being I can carry on in a frenzy of ignorant bliss. The opening two paragraphs of my story Looking After Little Patrick. I recently re-read an early story called The Worst Person in Ireland published in The Stinging Fly a few years ago. It's whacky and strange and full of crazy, surprising dialogue, and I think it retains its freshness. The first two or three pages in a piece called Making Love to Lana Turner. Anything by Joyce, Beckett, Flann O'Brien. If you could turn one Irish book into a movie, which would it be? and I would have to have along some of my earliest heroes, Achilles and Leonidas, and of course Jason and his crew of Argonauts. In a movie of your life, who would play you? This would only stand a chance of working (and a small chance at that) as a silent movie. So it would have to be Buster Keaton or Charlie Chaplin or maybe that charming, suave-looking French lad from that silent film a couple of years ago that did well at the Oscars (though he's probably going to have to lose the charm and not be so suave). Should reviewers review a book they did not enjoy? Truth or silence? If they understand what the writer was setting to do and can convey why they did not enjoy the book then I am always interested. Also, not enjoying a book does not make it a bad book. What play should everyone see at least once in their lives? Cathy Sweeney's surreal vignette about the book-loving couple who end up with a child made of paper has stayed with me. Wonderfully imaginative and vivid writing. Huge commercial success (ching, ching) or critically acclaimed (but broke)? I would like to be acclaimed by a wealthy critic who regularly frequents a new tapas bar that has recently opened in my favourite part of Galway. Your dream destination to write would be….? If the monsoon would lay off for a bit I would probably do ok sitting outside a coffee shop near the harbour in Galway. Several years ago I was introduced to Tess Gallagher, her self a formidable writer and widow of one of my early writing heroes, Raymond Carver. About a hundred and fifty questions I wanted to ask her came rushing into my head - about five minutes after she had left the bar room. As a general rule, though, I tend to be struck dumb no matter who I meet. Have you ever written anything for children? I have two poems in separate issues of the Cavan-published The Caterpillar. It's beautifully put together by the same people who bring us The Moth. Also, I sometimes use poetry to exact revenge upon nieces and nephews. I have two little nephews. One is English-speaking and the other speaks Spanish (he's from Peru). The English speaker calls me Mr Wrong while the other toe-rag refers to me as El Perdedor, which essentially translates as Loser. These two little guys have never met each other and it is quite possible they never will meet. And yet they both reckon they have me clocked. And so as long as they continue to mock me they are going into poems. I also have a five-year-old niece who seems to think she has just been elected Queen of the Universe. Last week, she started mocking me. Next week, she is going into a poem. Which Irish period of history would you transport yourself to, if you had the power? For a long time I often wondered what it would have been like inside the Wooden Horse of Troy. Maybe Paris in the 1920s. If you were asked to edit an anthology of short stories tomorrow, who would you HAVE to include? I don't speak it. Though I do know a couple of phrases I like to trot out when I need to sound wise and/or enigmatic. As for dreams, it doesn't matter one whit to me what language they are in because no sooner are they under way than they tend to take sinister turns and all I want is to wake up. What can we expect next from Alan McMonagle? Some more stories. I'm awaiting a verdict on a radio play. It's a comedy about two men who come together on a harbour bridge; one is convinced he is seeing people walk on water; the other is a no-nonsense beggar. I have just completed my first novel. Too early to say anything about this. 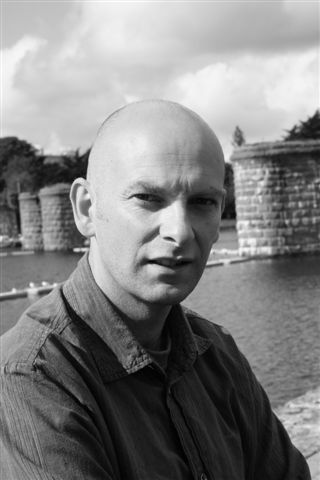 Alan McMonagle is a writer living in Galway, Ireland. He holds an MA in Writing from National University of Ireland, Galway. He has received awards for his work from the Professional Artists’ Retreat in Yaddo (New York), the Fundación Valparaiso (Spain), the Banff Centre for Creativity (Canada) and the Arts Council of Ireland. He has contributed stories to many journals in Ireland and North America including The Adirondack Review, The Valparaiso Fiction Review, Natural Bridge, Grain, Prairie Fire, Southword and The Stinging Fly. Early in 2014, his radio play, Oscar Night, was produced and broadcast as part of RTE's Drama on One season. Liar Liar, his first collection of stories published by Wordsonthestreet appeared in 2008 and was nominated for the 2009 Frank O’Connor International Short Story Award. His second collection Psychotic Episodes, (Arlen House) appeared in 2013. This anthology, from New Island Books, is a showpiece of the finest young Irish literary writers of today. All twelve contributors have been recognised with some form of literary award, publication in a high caliber journal or have already been snapped up by a publishing house, and many have MA in literature, creative writing, drama or poetry. There can be no doubt that this is the cream of the crop, but does it appeal to everyone? Does it work? Delving into the book as a whole did not seem like a way to get a balanced overall feeling, so, as with most short story collections, each story deserved its own individual reading and I dipped in and out over a ten day period. Beginning with Kevin Curran's Saving Tanya, a teenagers take on modern-day Ireland and the effects of social media on peer pressure, it then moves through to Roisín O'Donnell's How to Learn Irish in Seventeen Steps, which looks at a the determination of a Brazilian bride in her efforts to learn Gaeilge and fit into her husbands world, despite him not fitting completely in it himself. The stories show a fresh view of Éire and it becomes quickly obvious that this is a lovingly edited anthology. Presented in a no frills, basic but classical way, the stories are showcased in no particular order and with no one author getting pride of place. Each work speaks for itself and while I was not a fan of all twelve short stories, the complete package was inspiring. Young Irelanders is published by New Island and is available in paperback and ebook format.